August 11th, 11:30 a.m. - 1:00 p.m. Challenges cause you to come face to face with yourself, reminding you what's important. Learn from failures, have grit and take charge. WDI conducts research, exploratory and advanced development, technology demonstrations, and provides engineering and scientific expertise in all aspects of weapon system design, development, improvement and integration for the Army. WDI is responsible for integration of these weapon systems onto both manned and unmanned platforms, serves as a life cycle management enterprise for Department of Defense missile technology and supplies key essential engineering support to our customers for these weapon systems. 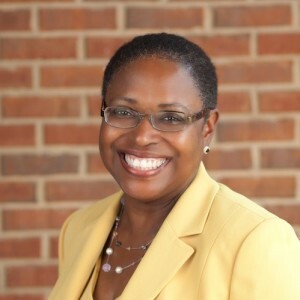 Dr. Juanita M. Harris is a native of East St. Louis, Illinois where she attended grade school through high school. This area had a very high crime rate and low employment rate. Dr. Harris’ mother always encouraged her to be the best she could be and to not let her environment define her. This parental push encouraged Dr. Harris to attend and complete her undergraduate degree at the University of Illinois, Urbana-Champaign campus and further pursue a Master’s Degree from Webster University in St. Louis, MO. She completed her Doctoral work in Management through the University of Phoenix with an emphasis on Organizational Leadership. Her professional career has spanned key leadership positions under the Space and Missile Defense Command, Program Executive Office (PEO) for Aviation, PEO Missiles and Space, and now the Aviation and Missile Research Development and Engineering Center. She is also a graduate of the Huntsville/Madison County Leadership Focus 24 Class and the flagship Leadership 25 Class. Dr. Harris enjoys giving back to the community. She works with representatives supporting the Care Assurance System for the Aging and Homebound (CASA) of Madison to provide food and beverages during work-site events along with providing manual labor via her teenage sons. She and her family also volunteered as a part of the Boy Scouts cleanup activities following the April 2011 tornadoes. She is an active member of the Pentecostal Lighthouse Church, Huntsville AL. Because of her love of children, she served as a Sunday school teacher for the Kindergarten class and also served as a member of the usher board. Dr. Harris continually recognizes and thanks God for all of His favor and grace in her life. Deadline to register is NOON Monday August 8th. Due to the OVERWHELMING demand for attendance for our meetings PLEASE respect this deadline.